The Psalms can be sung, spoken or read - but they were written to be prayed. Until we pray them from the heart we miss their purpose. If you love, or want to love, or think perhaps you ought to love, the Psalms, this first instalment of a two-volume set on the Psalter is for you. 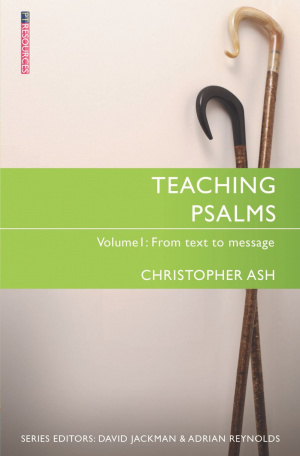 Christopher Ash gives us a practical and theological handbook to equip us to pray and to teach the Psalms. He faces the difficulties and shows how praying them in Christ does justice to their original meaning and context as well as their place in the whole bible. Teaching Psalms Vol. 1 by Christopher Ash was published by Christian Focus Publications in June 2017 and is our 28291st best seller. The ISBN for Teaching Psalms Vol. 1 is 9781527100046. Be the first to review Teaching Psalms Vol. 1! Got a question? No problem! Just click here to ask us about Teaching Psalms Vol. 1.